One of the frequent uses of TrackMan is a distance gapping session. This is a trackman gapping session where golfers hit each golf club in their bag and trackman measures that distance. This is vital information for scoring better at golf and making more accurate golf club selection decisions. As golfers, we need to know approximately how far we hit each golf club. Whereas, the process is simply hitting four to five shots per club. Albeit, there are all sorts of information gathered by trackman. However, we would be mainly focusing on the distance carried per club. Furthermore, that specific information will be collected and a report will be sent later that evening. Notably, a Trackman gapping session will take approximately 1hr to complete. Also, there will be golf swing coaching as we progress through the gapping session. The cost for this service is €110.00. Also, for golfers that are buying a new set of golf clubs from John Dooley PGA. 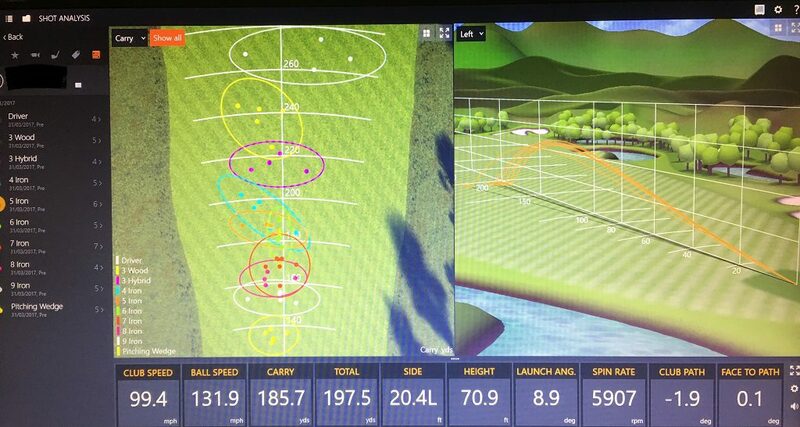 Additionally, a trackman distance gapping session is now included with every new set of irons bought. Certainly, if you’d like more information please contact us today.